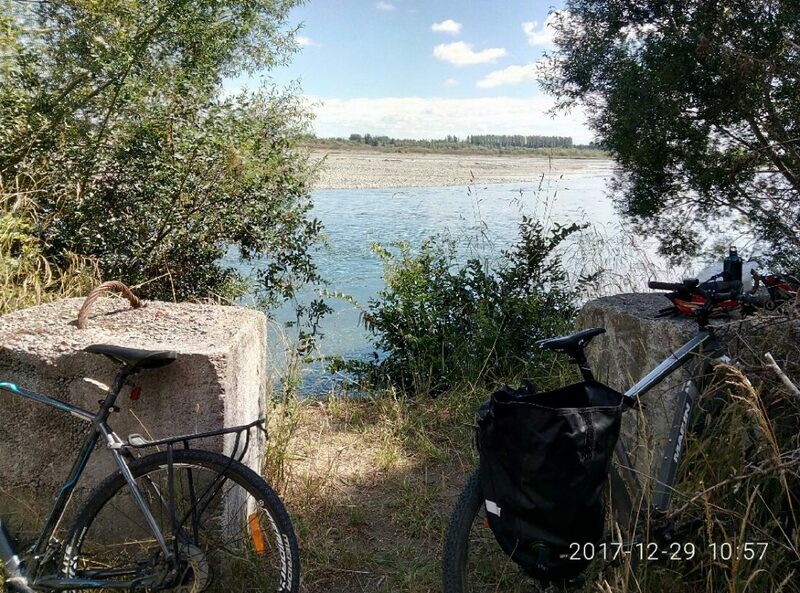 As New Zealand leaps forward in the provision of good infrastructure for urban cycling, and adventure tourism cycle trails, increasingly it is easy and attractive to jump on a bike and go somewhere for transport, recreation and sightseeing. 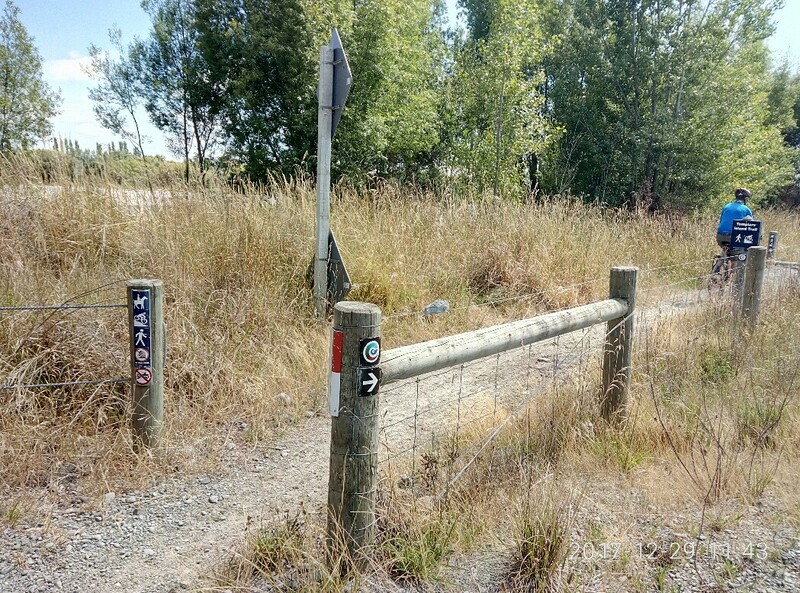 Canterbury has no regional drought when it comes to the variety of options easily accessible. Whether it be a paved protected cycle route to get to work, Port Hills and Banks Peninsula roads for Lance Armstrong wannabes (without the drugs…), or tracks and parks in the foothill regions for adrenalin seekers, there is a huge bucket-list of places to go on two wheels. Yes and yes, there most certainly are. Heading the list would be the Little River Rail Trail. Locally, there are the options of riding along the Heathcote River, or the The Eastern Walkway and Cycle Network Avon-Otakaro through the Red Zone to New Brighton. The route to Sumner on what eventually will be a completed Coastal Pathway is also a great day out. 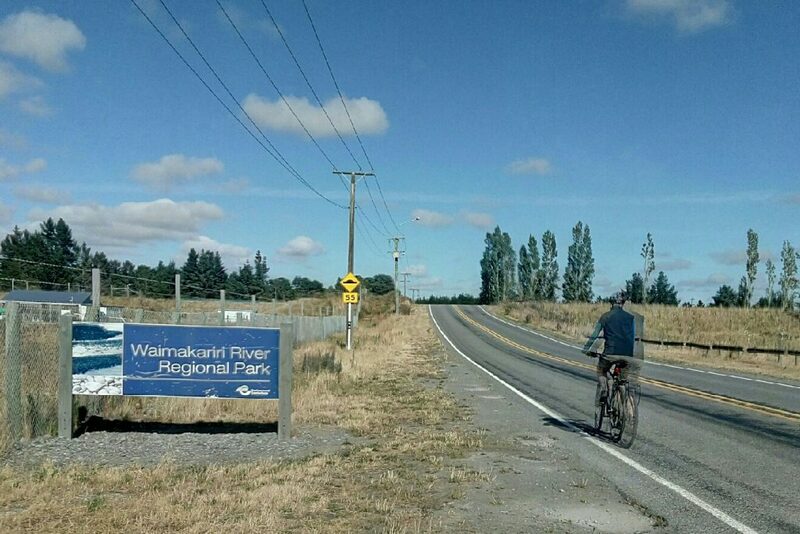 Both Selwyn and Waimakariri Districts have built off-road cycle paths along the roads linking several of their towns that are flat and easy to ride along. 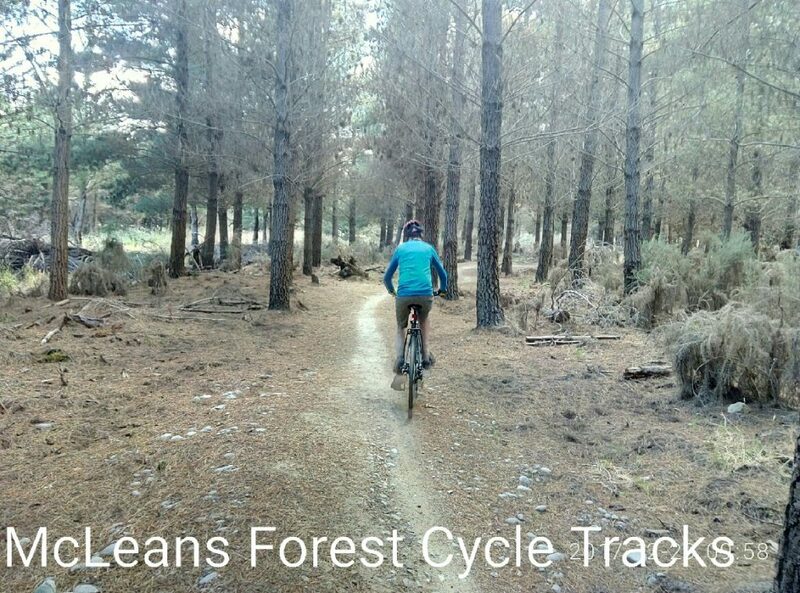 A good next step would be to go for a ride around the tracks at McLeans Forest and/or Bottle Lake Forest Park. These are great places to build up confidence in good handling skills without traffic to worry about. 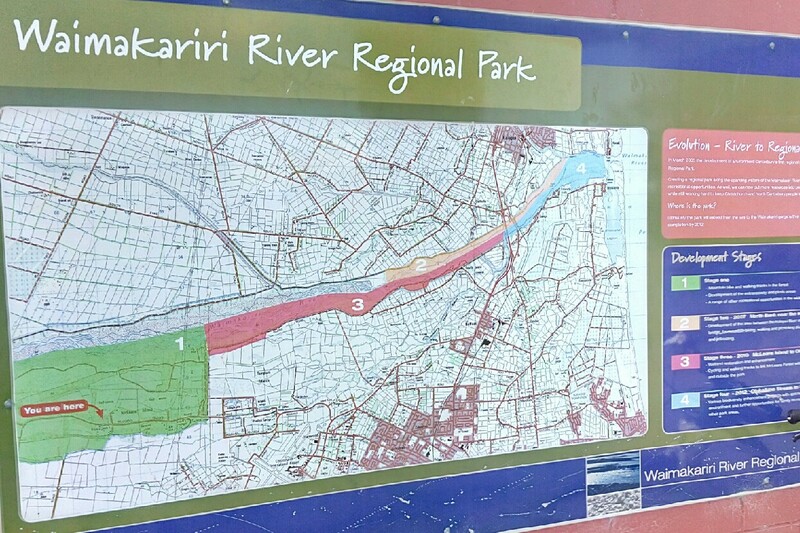 For a wonderful day trip out, adding stamina to the scenery, follow the tracks between them through the Waimakariri Regional Park. Check MetroInfo for bus options (with bike on rack). This enables you to pick and choose a bit. For instance, the 17 or 125 bus will get you close to McLeans Island Road, and the Orange Line or 80 bus will get you near to Bottle Lake Forest, enabling a full circle ride with bus at each end. Alternatively, by getting the Blue Line bus to drop you at Belfast or Kainga, the route could be completed in two separate chunks of about a half-day each. 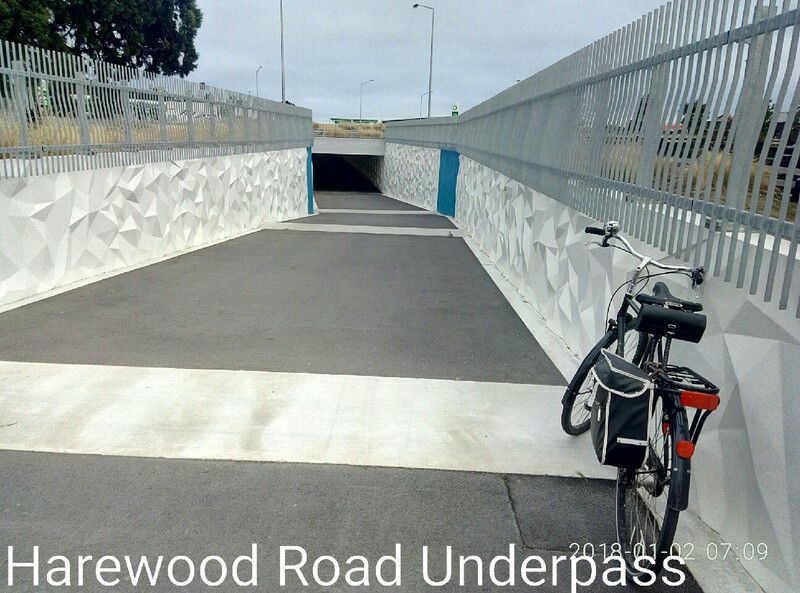 If (like us) you enjoy riding a circuit from home and return, start in the early morning when the traffic at weekends is light along the cycle lane routes on Wairakei, Woolridge, and Harewood Roads to McLeans Island Road (via the Harewood Rd underpass). A wider shoulder along parts of McLeans Island Road, however, would be an improvement. 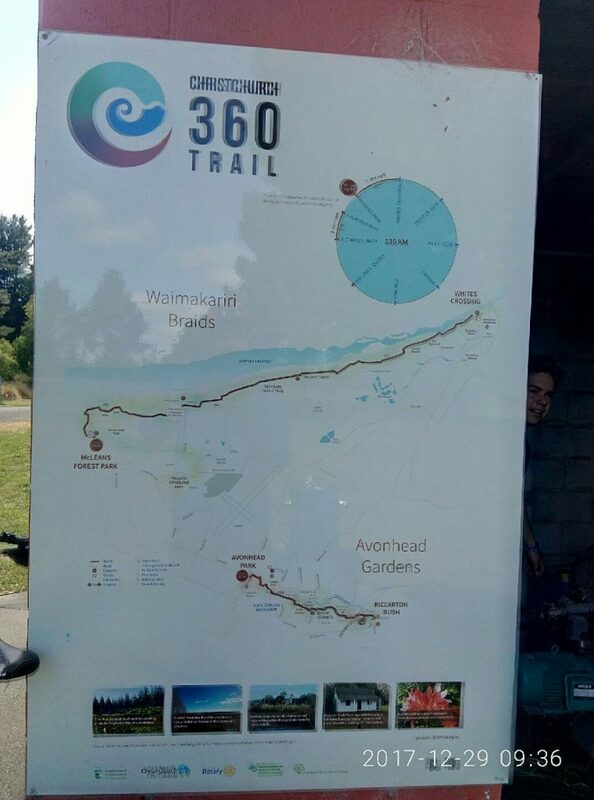 Getting to Bottle Lake Forest Park is better, following the QEII Drive, Travis Road and Frosts Road off-road paths to Beach Road and Waimairi Beach. Head north from there. For added fun and stamina building, complete a circuit or two of the bike tracks through each of the parks whilst you are there. On our big day out it was interesting to see just how many recreational organisations there are based at McLeans Island. 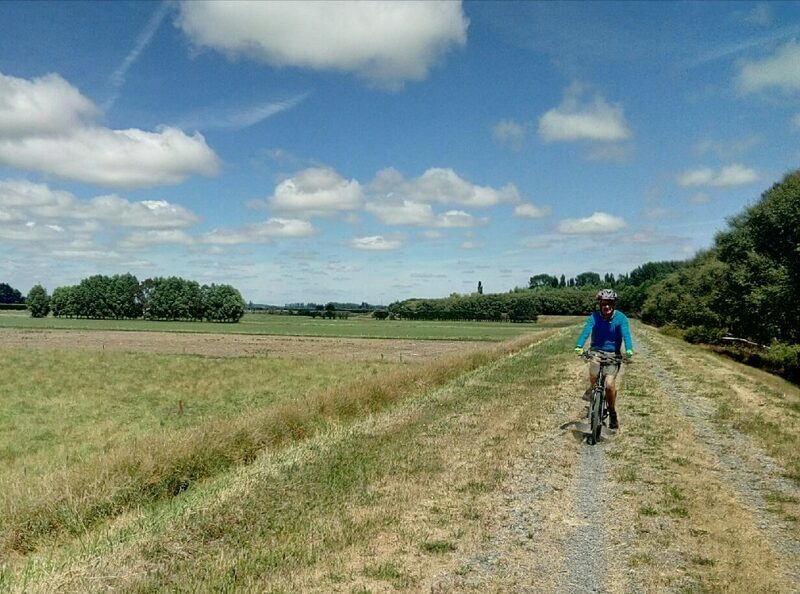 We also appreciated the big rural spaces with great vistas along the way and were amazed at just how much area of land there is between our urban environment and the Waimakariri River. Something you just do not realise when speeding along the motorway north or west of Belfast. And of course the pleasure of having lunch next to the cool, fast flowing river. An easy ride on the Coringa Loop at McLeans Forest Park got the heart rate up a just a little more. 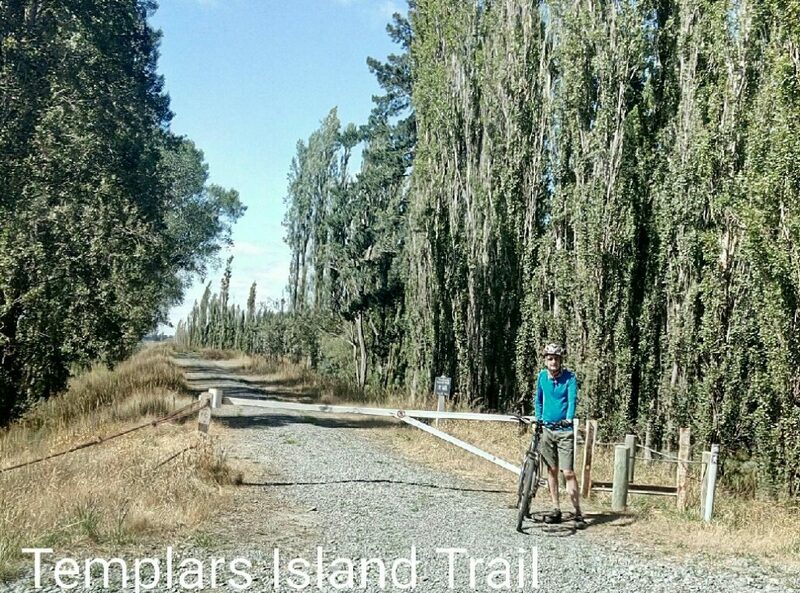 Part two of the post will describe the section from Coutts Island Road to Waimairi Beach. Our trip was cut short this time near the motorway bridge by a flat tyre. Having a tool kit on board is of little use if the pump gets left back in the garage… With some good map reading skills provided by a photo taken at the McLeans Forest information boards, and a bit of cross-country walking, we were on a Blue Line bus at Belfast heading home within the hour. Integrated transport at its best. Have you visited the northern bike trails? 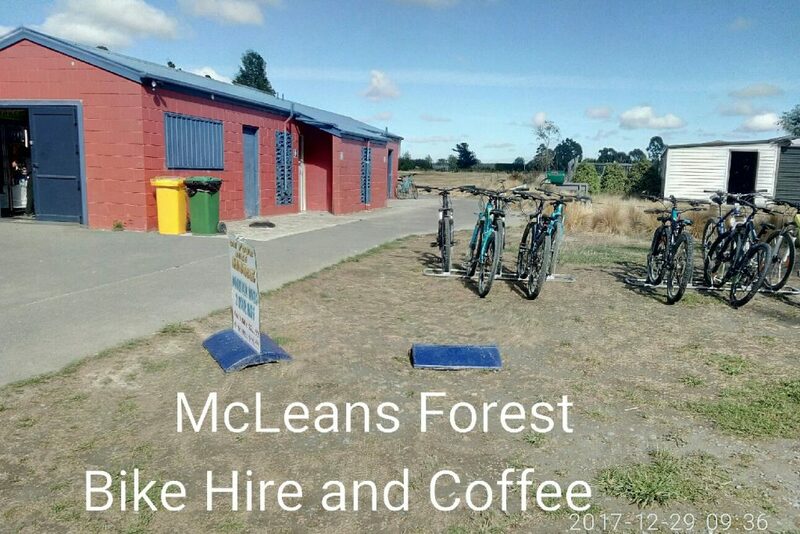 I agree Cyclo, for such a great recreational area access to McLeans Forest Park is pretty dismal for biking unless 8.00am on a Sunday Morning. 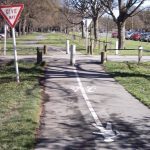 QEII Drive walking/cycling path needs a bit more love also .